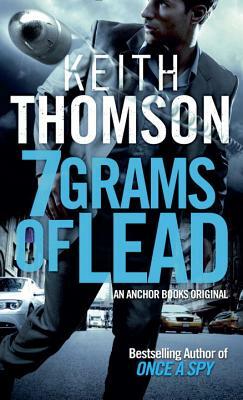 A brand-new heart-pounding technothriller from Keith Thomson, acclaimed author of ONCE A SPY. Russ Thornton is a hard-hitting journalist known for his ability to take on big targets in government and in business. An old flame, now a Capitol Hill staffer, contacts him out of the blue wanting to disclose some top-secret information. But she is gunned down in cold blood, right in front of him. Worse, the killers are concerned about what Thornton knows, and who he may tell. He finds himself in a game of cat-and-mouse, where the stakes are life and death and the surveillance technology is so sophisticated that he wouldn t believe it existed if it weren't implanted in his own head. Keith Thomson played semipro baseball in France and drew editorial cartoons for New York Newsday before becoming a writer. He lives in Alabama. "The wonderfully over-the-top shenanigans ... are catnip for the Bourne crowd, with subcutaneous implants, listening stations, dead drops, black sites, gunplay, double agents, naval battles, counter-surveillance hocus-pocus, and gadgets galore. And the human intelligence is even more captivating. I'll take good dialogue over exploding pens any day, but Thomson doesn't ask readers to choose." "Sophisticated and slick.... The plot has enough believability to be disconcerting and the high tech details are fascinating."